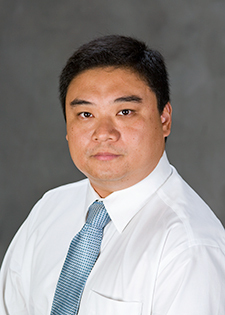 Congratulations to Wanli Zhao, associate professor of finance, whose research titled “Audit Office Reputation Shocks from Gains and Losses of Major Industry Clients” recently was accepted for publication in the journal Contemporary Accounting Research. Zhao’s current research is based on audits and the reasons why companies change their auditors and the importance of gaining new companies. Zhao joined the College of Business in fall 2012. His other research topics include corporate governance issues, such as boards of directors, financial reporting quality, executive compensation and informed trading. Zhao has published in academic journals, including Journal of Finance, The Accounting Review, Financial Management, Journal of Accounting and Public Policy, and has presented his research at universities and conferences. Zhao obtained his MBA and doctoral degrees from Temple University in Philadelphia. Before coming to SIU, he was an assistant professor of finance at Worcester Polytechnic Institute in Massachusetts.